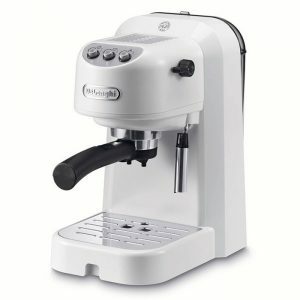 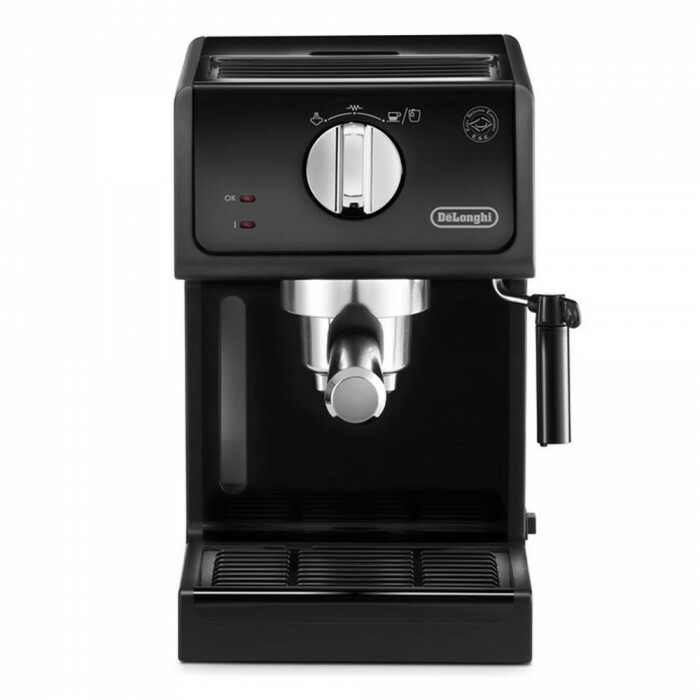 The De’Longhi ECP31.21 Traditional Pump Espresso Machine is an affordable semi-automatic coffee machine that offers user functionality at a great price point. 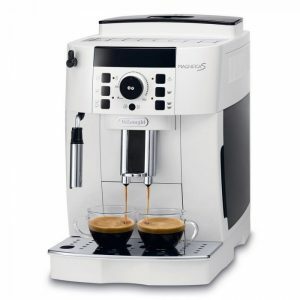 Whether you prefer no-fuss, no-mess pods or like to use ground coffee, this De’Longhi machine offers you the best of both worlds. The De’Longhi ECP31.21’s professional standard 15 bar water pressure produces perfect espresso each time. 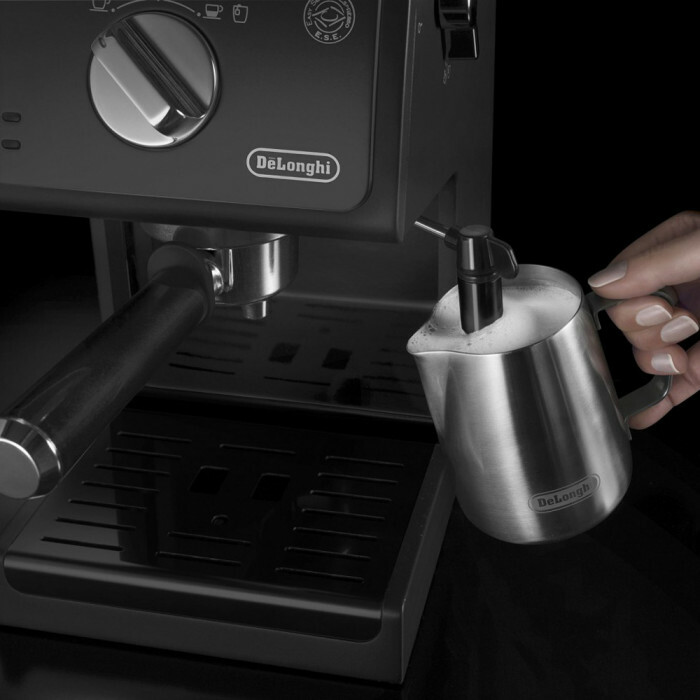 And for those who love cappuccinos, macchiatos or lattes, the manual frother produces creamy, rich frothed milk for your ideal cup of coffee. 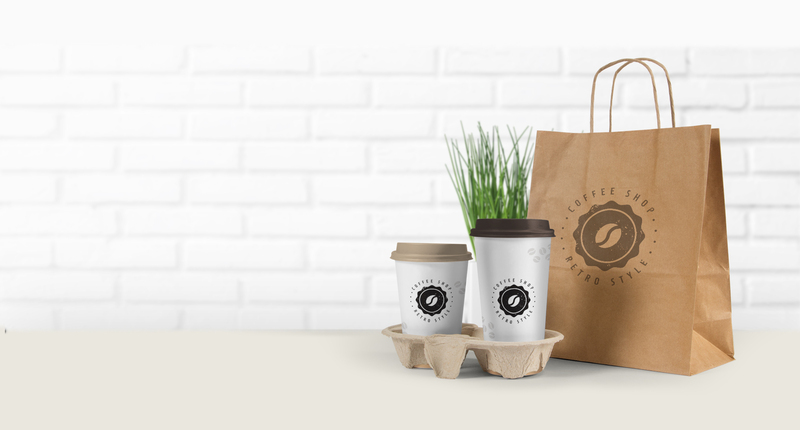 Like to personalise your coffee? 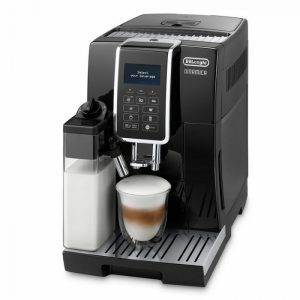 For those who prefer a longer, stronger coffee, the De’Longhi ECP31.21 espresso coffee maker is manually adjustable for coffees that suit your personal tastes. 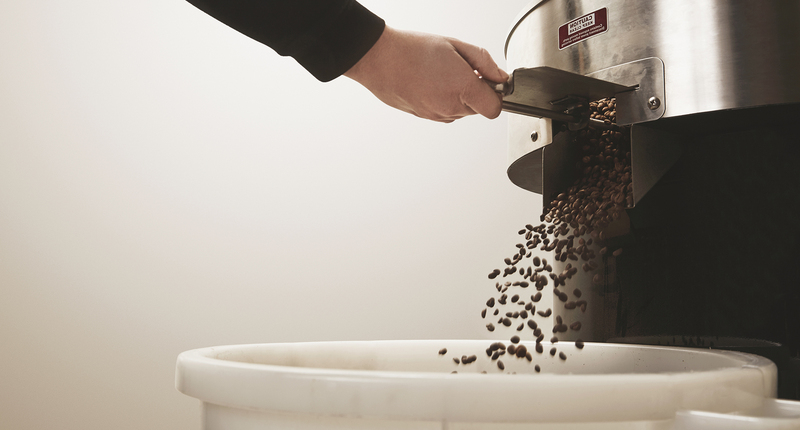 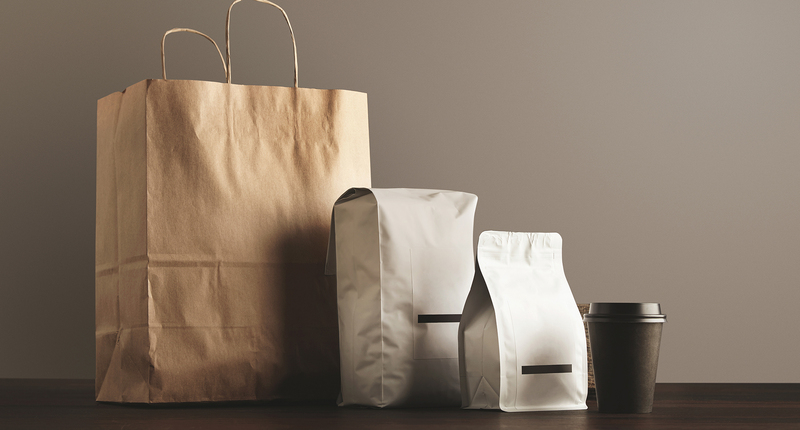 It also offers the option of brewing one or two coffees at a time for when you’re in a hurry or if you fancy a longer caffeine hit. 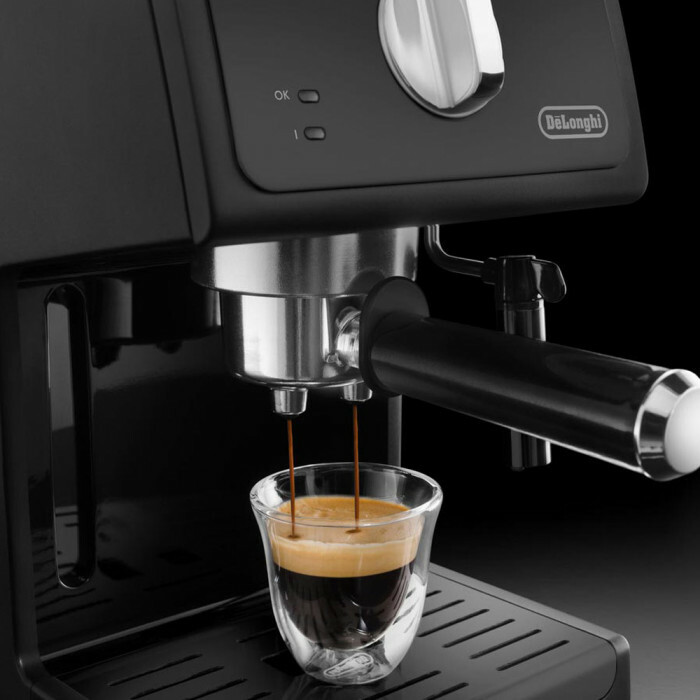 The premium aluminium finishings of the De’Longhi ECP31.21 and its three filters ensure high-quality coffee every time, time after time. 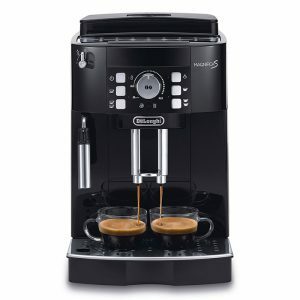 And to keep your coffee warm, there’s an integrated cup warmer to heat your cup before brewing your coffee. 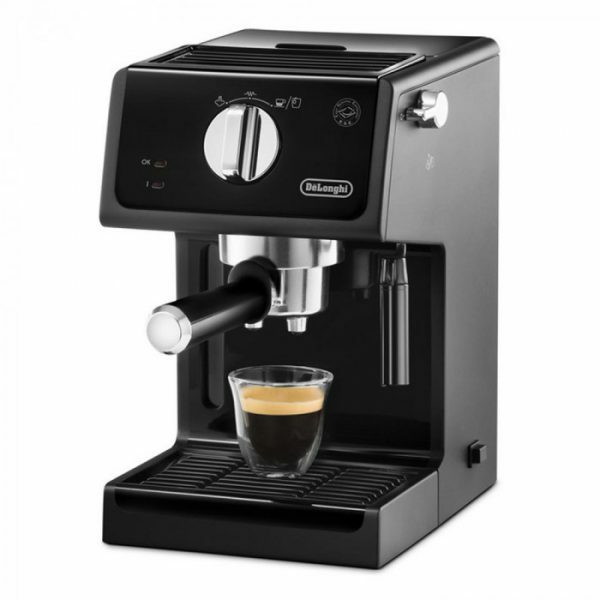 For a machine at this price point, that’s a whole lot of functionality!